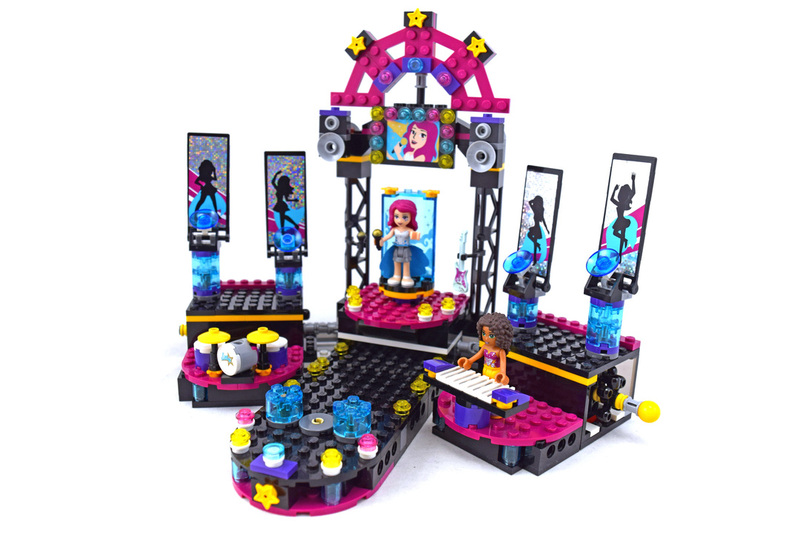 Pop Star Show Stage (LEGO #41105-1) is a good LEGO set from the Friends theme. Show your inner pop star on the big stage. The Stage has great parts and features including the drumset, keyboard and theatrics. Set includes Livi and Andrea. Set comes with 2 minifigures and 446 pieces.